These Top Legal directories are the perfect opportunity to enhance your Local SEO presence and show up more often in maps for local searches. Google refers to directories as “citations” and scans the web for consistency in your Name, Address, and Phone Number (NAP). I’m particularly fond of this SEO tactic because many of your competitors will only be on the large well-known directories like Google My Business, Yelp, AVVO, FindLaw and Lawyers.com. If you take the extra time to list your business on the directories in this article, you’ll have a leg up on local competitors. Listing your business on Legal directories can be a time consuming task. It’s essential the directories you choose are quality with a reasonable Domain Authority. Avoid spammy directories with low DA’s that provide no value to the end user. The Rocket Pilots team reviewed most of the Legal Directories on the Web and handpicked the directories worthwhile for you to pursue. Cornell University – The data is powered by Justia and allows the user to browse by Practice Areas or State. The directory is Free for Attorneys and you can sign up here. They also provide users the opportunity to check if an Attorney has ever been disciplined. FindLaw –There’s data to help people who are facing a legal issue learn more about the law. For help hiring an attorney or learning about specific areas of the law, you can get a quote here. They also offer information about state-specific laws. Avvo –Users can browse by Practice Area, City, State, Name, or Legal Topic. Sign up to list for Free here. They also list public discipline in their lawyer profiles. Justia –List for free when you sign up here on Justia and get updates on the legal perspective on current issues with Today on Verdict. They provide info on Public Interest and Pro Bono Projects. Users can search for a lawyer by Legal Issue or Lawyer Name in their city or state. Martindale –With 150 years of experience, Martindale-Hubbell is one of the oldest legal directories online. Users can search for attorneys by Areas of Practice and Popular Locations. Their listings are searched by more than 15 million consumers each month. Pricing is by quote. Nolo –Their online publications help inform and educate consumers about the law. They encourage readers to seek professional legal advice from an attorney rather than taking a do-it-yourself approach. Users browse for an attorney by Practice Area and Zip Code. Listing costs $750/year for family attorneys. Contact an expert here. Lawyers.com – They boast listings for 95% of all lawyers across more than 1000 areas of practice. They combine client reviews with the 150-year history of Martindale-Hubbell® to provide users with ratings on lawyer ability and ethical behavior. Get a quote and register to list your practice and get access to 15 million visitors each month. Best Lawyers –They use a pure peer review process to provide users with listings of the top legal talent around the world. Users search by Name, Firm, Place, or Practice Area. Attorneys list for free here. org –Users search for lawyers by searching for a Law Firm, by Location, or by Areas of Law. They expand on their legal services by offering a list of Expert Witnesses to attract more users. Attorneys list here for $195 per/year and they also offer a reseller discount. Lawinfo –Users browse for an attorney according to their legal issue. Personal Injury is broken down into areas of specialty, such as Car Accidents and Medical Malpractice. Sign up here to list for $40 per/month. com –By entering their Zip Code, users find a list of top lawyers in their area including whether they are in good standing. They match the best lawyer to the user’s needs by obtaining a description of their case. You can list with them here for $99 per/month. Lead Counsel –This service lets users search an attorney by name to obtain their current Lead Counsel Rating. You can put your credentials to good use when you sign up for a rating for Free. Jurist –The data is powered by a mostly-volunteer team in collaboration with the University of Pittsburgh. They boast that they are the only law school-based comprehensive legal news and research service in the world and it’s completely open and accessible. Your Lifetime Registration is $100. LAWGURU –Services include getting free legal questions answered by attorneys and Find an Attorney. They boast a network of more than 8,800 specialized attorneys. You can join for Free. PublicLegal® –They are a product of the Internet Legal Research Group (ILRG). Users have access to a categorized index of select web sites, thousands of legal forms and documents, and a Lawyer Directory. You can list for free here. Lawyer Central™-The sole purpose of this site is to connect users with the right attorney for their needs. They are user-friendly and allow you to browse by Practice Area, Attorney Name, Region, or any combination of the three. Add your profile for free here. Just Great Lawyers –This resource helps users find the right Local Lawyers for their needs. Listing costs $199 per/year and it helps you attract more local clients to your legal business. Get listed here. com –Users find local lawyers quickly and easily by choosing a Legal Category and entering a Zip Code and/or City in the search bar. It helps local clients find you, and then you can contact the client. Boost your local business when you list for free. Find a Criminal Defense Attorney –This site helps people facing a criminal charge find an attorney in their area. Users have the option to Find Attorneys or use the Locate Me feature to see who is in their area. They charge $32.95 per/month to add your listing. 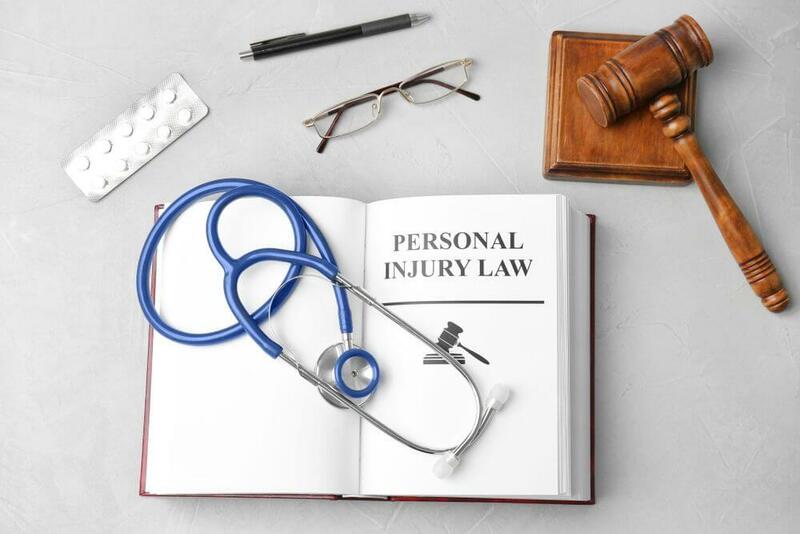 NAPIL –The National Association of Personal Injury Lawyers helps people with personal injuries find the best lawyers for their needs in their area. They foster an atmosphere of fellowship and encourage the exchange of ideas to enhance their knowledge. You can contact them for a quote and register here. More Law –Users search for a lawyer by State & City. They are one of the legal directories that also provides a listing of Expert Witnesses. They feature a listing of Recent Verdicts and Judgements as examples for site visitors. You can sign up for a free listing here. Find a Personal Injury Attorney –Users who have lost a loved one and someone else is at fault can get information about personal injury claims and attorneys here. They can also browse by their Location to find the best Personal Injury Attorney in their location. Register your firm here for $49.95 per/month. Law Link –Connect and share with attorneys around the world. It’s Free to sign up here. com –They give users access to more than 330,000 lawyers throughout the United States. List here and pay $50/month to promote your practice. Get your name on the Internet where more people look for lawyers every day. Lawyer Legion –They have services to find lawyers, legal associations, specialty certifications, and information on the law and the constitution. Set up your profile here and get noticed by clients looking for a broad range of legal services. Registration is free. NAJ –The National Academy of Jurisprudence lists the minority of attorneys in the US with the NAJ Premier 100 designation. You can Nominate an Attorney or sign up and pay your dues here. Fees are $150/year or $350/year depending on your niche. Divorce HQ –Divorce Headquarters is a resource for all divorce needs, including attorneys, mediators, a free child support calculator, and more. They offer practical advice including how to hire a private investigator and the benefits of mediation. Fees for attorneys and mediators are $69 to $149 when you sign up. Find a DUI Attorney –Being charged with DUI is a frightening experience that can land offenders in jail, get their license suspended, and raise their auto insurance rates. Users can find a DUI attorney in their area to help protect their rights. Add your listing here at a cost of $29.95/per month. com –Users search for an attorney in their location by City or Zip Code. They have the option to compare the attorneys they find and contact those they like. Membership is $199/year for Basic, $999.99/year for Premium, and $499.99/year for Featured. Sign up here. com –Users can sign up for a Free Initial Consultation or learn more about Personal Injury Law. Your advertisement includes your logo, profile, and more info. Pay $50/month to list your law firm and attract more clients in your state. Judged –The site is dedicated to providing unfiltered intelligence on law firms around the world. They provide a venue where attorneys, law students, and lawyers come together to discuss and rate law firms. You can sign up here for free. org –This website offers ratings and reviews on hundreds of thousands of lawyers. This site differs from other directories by linking every law firm to its lawyers, and every lawyer to the firm. Submit a basic profile for free here and increase your exposure. Legal Reach – This powerful platform helps users find the right attorney in an ocean of legal professionals. Join here for $40/year and get more exposure and leads. Post your info, publish articles, and communicate directly with leads to help you stand out from the crowd. Legal Pointer™ –Users search for attorneys by State and by Featured Partners. The focus is on Personal Injury and Medical Malpractice Lawyers. Get your free listing here and put it at the top of your state. Help Lawyer – Clients looking for lawyers, paralegal services, or expert witnesses find everything they need on one website. They are a legal marketing suite that brings everything together for fast easy results. Register as a solo lawyer or a law firm here for free. Legal Listings – Legal News, Articles, and Legal Website Design are some of the offerings that attract new clients here. They offer a search by State so users can find the right lawyer for their needs in their area. Join here for free or upgrade to a Premium or Premium Plus Membership. org –Halt Lawyer Directory lets users search for a lawyer by Keyword, Location, or Specialty. They let viewers browse Legal Categories to find the right area of law for their needs. Register here for free or upgrade to a $25 Premium Account. BESTESQ –Users fill out a simple contact form and the right attorneys for their needs get in touch with them within 24 to 48 hours. Join more than 200,000 existing attorneys when you claim your practice’s listing here. You pay $4.99/month for basic, $9.99/month for featured, or $49.99/year for featured and get a 30-day free trial. org –The network covers most major metro cities throughout the world. Users from any location can find a law firm by Location or Practice Area for any legal issue. Sign up here to get one of only five listings in your area and pay $199/year. Enjuris™ –Victims of car accidents face a lot of legal questions during one of the most confusing times of their lives. They get fast, accurate answers here to help them take the next step in the legal process in their state. Join here for $100/year and start engaging with survivors in their world. com – Users can browse attorney listings by Location or a large variety of Legal Areas. Joining the directory is free for attorneys in all areas including Personal Injury. You choose how you want potential new clients to contact you when you sign up. tv –This website lets users find the best Personal Injury lawyers in their city. They can browse by State for help following a bicycle, car, motorcycle, pedestrian, slip & fall, or truck accident. Start making more of the right connections when you add your listing here for free. You can’t expect professional level SEO from a company that doesn’t understand the specific needs of a legal business. You need a company that has the technical know-how and the in-depth understanding of what clients are looking for in their legal representation. Registering with top legal directories like those listed here is vital to growing your legal business. It’s one of the most effective ways to make connections with potential clients who want exactly what you have to offer. You don’t have to do it alone. Contact Us Today for a free consultation. We can help you boost your online presence and build your practice through better SEO practices.